BJP daughter-in-law of former chief minister Babulal Gaur, from Govindpura in Bhopal, and also ended the deadlock in Indore by giving a ticket to senior leader Kailash Vijayvargiya’s son Akash. Its hands forced by the threat of open rebellion, the BJP on Thursday fielded Krishna Gaur, the daughter-in-law of former chief minister Babulal Gaur, from Govindpura in Bhopal, and also ended the deadlock in Indore by giving a ticket to senior leader Kailash Vijayvargiya’s son Akash. 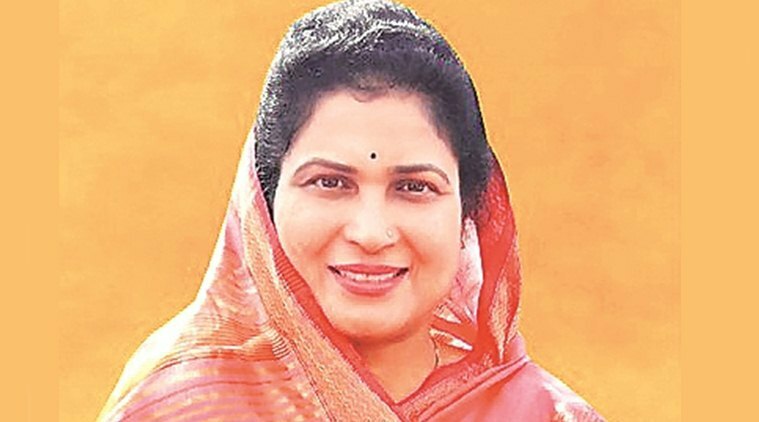 In its last list of candidates announced by the BJP on Thursday, Cabinet Minister Kusum Mehdele was dropped by the party from Panna constituency and former minister Rasool Ahmed Siddique’s daughter Fatima Siddique will take on Congress candidate Arif Aqueel in Bhopal (North). Prem Shankar Varma will be BJP’s candidate from Seoni Malwa constituency represented by former minister Sartaj Singh who defected to the Congress Thursday. Babulal Gaur, who has represented the constituency for decades, was keen on contesting again but after senshis party’s reluctance he put his foot down for his daughter-in-law’s nomination from the same constituency, which he insists he has fashioing ned into one of the safest BJP constituencies in the state. The possibility of the veteran being denied a ticket saw many strong BJP contenders staking claim to Govindpura while opposing the entry of the younger Gaur, a former Bhopal mayor. However, the Gaur family did not relent, playing on the ruling party’s fears of a rebellion in the state capital and the prospect of both the leaders contesting as Independents from different seats. After getting the ticket, Krishna said some opposition to her candidature was natural but she would go to the house of contenders with folded hands to win them over. Supporters of other contenders were not impressed and accused the party of perpetuating dynasty politics when faced with the threat of rebellion. Senior BJP leader Vijayvargiya made way for his son Aakash, who will contest from Indore-3 seat. Usha Thakur, sitting MLA from Indore-3, was shifted to Mhow (Dr Ambedkar Nagar) constituency represented by the senior Vijayvargiya in the Assembly. The switch from a safer constituency to a new terrain did not go down well with Thakur and her supporters. When asked for her reaction, Thakur said the question should be posed to the party leadership. Lok Sabha Speaker Sumitra Mahajan’s son Mandar was not lucky to get a nomination even this time. There was speculation that the announcement of candidates in Indore was delayed because both Vijayvargiya and Mahajan wanted tickets for their sons and the party was finding it difficult to juggle sitting MLAs around. The senior Vijayvargiya claimed that he did not seek a ticket for his son but his name had figured in the party’s internal survey. The senior leader’s confidant and sitting MLA from Indore-2, Ramesh Mendola, had reportedly offered to give up his seat but the party nominated him again. Former Congress Lok Sabha member Premchand Guddu, who defected to the BJP recently along with his son Ajit Borasi, succeeded in getting a ticket for his son from Ghatiya (SC) constituency. Chaudhary Rakesh Singh Chaturvedi, who had defected to the BJP on the floor of the Assembly before the 2013 elections, will contest from Bhind. The Congress was set to move a no confidence motion when Chaturvedi, its then deputy leader, expressed dissatisfaction with Leader of Opposition Ajay Singh in July 2013. The BJP did not field him in 2013, but having spent nearly five years in wilderness Chaturvedi was reportedly getting frustrated.